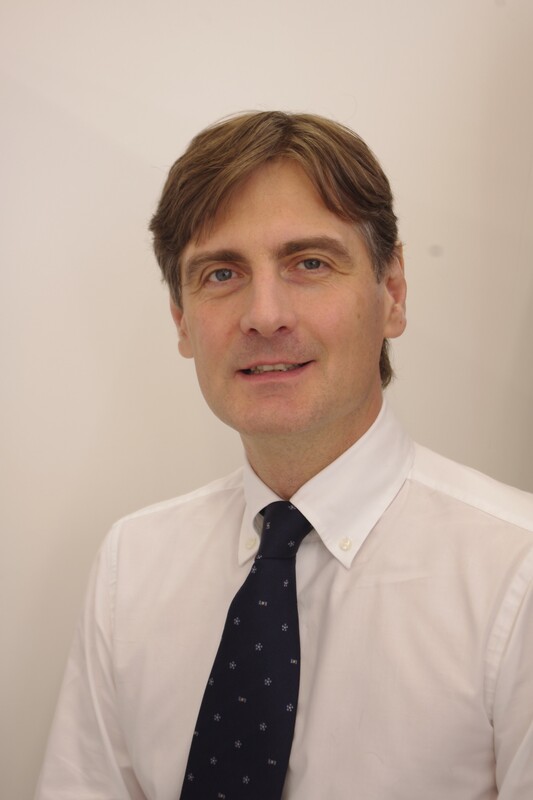 Professor Andrey Y. Abramov has been working at University College London since 2000 and was promoted to Professor in Department of Molecular Neuroscience, UCL institute of Neurology in October 2013. Professor Abramov completed both his MSc and DPhil at the Tashkent State University. He was a PostDoctoral Research fellow at the Department of Physiology, UCL from 2007. In 2008 he established a laboratory at the Department of Molecular Neuroscience as a Parkinson’s UK Senior Research Fellow. His research areas spread to investigation of the role of mitochondria, reactive oxygen species and calcium in physiology and pathology. 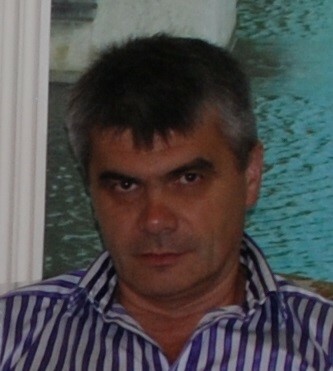 Professor Abramov has published 144 papers (i.e., Nature, Brain, JBC, PNAS, among others), which attracted in excess of 7 000 citations. 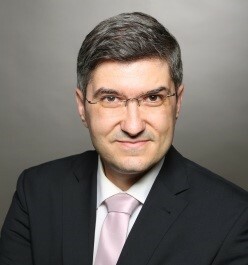 Prof. Dr. Atanas G. Atanasov holds a MSc degree in Biotechnology (from the University of Sofia, Bulgaria), PhD degree in Biochemistry (from the University of Bern, Switzerland), and Habilitation (Privatdozent (PD) degree) in Pharmaceutical Biology-Pharmacognosy (from the University of Vienna, Austria). Dr. Atanasov is currently Head of the Molecular Biology Department at IGAB, Polish Academy of Sciences (Poland) and a Visiting Lecturer at the Department of Pharmacognosy, University of Vienna (Austria). He has published >100 peer-reviewed scientific papers in the area of Molecular Medicine, Nutrigenomics, Biotechnology, Natural Products, and Molecular Pharmacology. His scientific work has been funded from diverse national and international agencies; he is a keynote speaker at multiple prestigious international conferences, and serves in advisory/guiding roles for several biotech companies. Moreover, he is an editor for several well-ranked scientific journals, and acts as research evaluator for diverse governmental and industrial funding organizations (e.g., for Novo Nordisk, The French National Research Agency (ANR), The Austrian Federal Ministry of Science, Research and Economy (BMWFW)). In addition to conventional science dissemination (research publications, teaching courses, conference lectures), Dr. Atanasov is a pioneer in digital science communication approaches (e.g., via his social media networks with a total of >150 000 followers/contacts), and was named #11 in the world on the “Top 25 Biotech Influencers to Watch on Twitter” ranking by Disruptor Daily. Moreover, he is the Founder and Executive Director of the International Natural Product Sciences Taskforce (INPST), a science networking and academia-industry collaboration platform aiming to promote natural product research and science communication in order to aid the search for new medicines, the establishment of better healthcare, and the development of better food and food supplements, and is a Director of GLOBE Program Association (GLOBE-PA), a non-profit consortium with focus on collaborative natural product science and business integration. Vassya Bankova obtained her PhD in Natural Product Chemistry at the Bulgarian Academy of Sciences, Sofia. She has worked as a guest-researcher at the Ruhr University – Bochum, the University of Saarland, Saarbruecken, the Bandeirante University, Sao Paulo, and the Institute of Molecules of Biological Interest, Naples. In 2004 she became full professor at the Institute of Organic Chemistry with Centre of Phytochemistry. Her research interests are directed towards search for new biologically active compounds from unexplored biological subjects (endemic plants, mushrooms, bee products); development of modern reliable methods of qualitative and quantitative analysis of the active components in complex extracts of natural products. Her special interest is devoted to the bee product propolis (bee glue): its chemistry, plant origin, biological activity, health-promoting potential, analysis, standardization. She and her group have been studying propolis for over 20 years, have made major contributions to the current knowledge of propolis and have published over 90 papers in international peer reviewed journals and four book chapters on this topic. Her total number of publications is over 200, she has an h-index of 43. She is a member of the International Honey Commission and president of the Bulgarian Phytochemical Society. 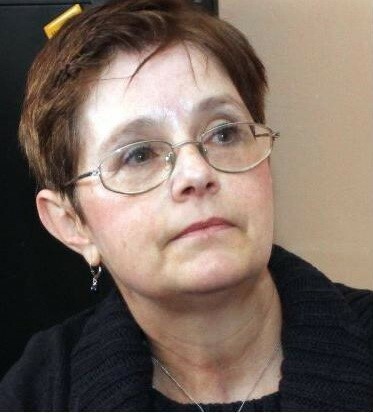 She is also a part-time lecturer at the University of Sofia and is on the Editorial Board of Chemistry Central Journal as Section Editor for Organic Chemistry Section and on the Editorial Advisory Board of Natural Product Communications. In 2015 she was elected to a corresponding member of the Bulgarian Academy of Sciences. Maurizio Battino, PhD, Associate Professor of Biochemistry in the Dept of Clinical Sciences, Faculty of Medicine, Università Politecnica delle Marche (Italy) is the Director of Nutrition and Food Science Group, University of Vigo (Spain) and Director of the Nutrition & Health Center, Universidad Europea del Atlantico, (Santander-Spain) as well as of the projects and Master courses at FUNIBER platform (Barcelona-Spain). His research group, the Bioenergetics Group, investigates the way of mitigating disease processes through the correct use of specific foods (mainly berries, honey and dietary fats) and of their bioactive compounds. Targeted diseases are those related directly with mitochondrial impairment (e.g., fibromyalgia) and/or inflammation processes and oxidative stress including metabolic syndrome, cancer, atherosclerosis and periodontal diseases. Dr. Battino has more than 30 years of experience in bioenergetics and in food research with special emphasis on the role of natural antioxidants and his studies are documented in more than 260 peer-reviewed research articles with an accumulated Impact Factor above 1000,00, with h-index = 61 according to Google Scholar MyCitations or h-index = 51 or 46 according to Scopus and ISI Web of Science respectively; he has also co-edited several books and special issues. He was BSc in Bologna, PhD in Catania and post-doc in Granada (Spain); he obtained a MS in International Communication Technology in Medicine (Ancona) and was awarded with a Doctor Honoris Causa degree by the University of Medicine and Pharmacy “Carol Davila” Bucharest (Romania). He has been named as a Highly Cited Researcher during the last 4 consecutive years by Thomson Reuters/Clarivate Analytics and awarded as Distinguished Researcher by the University of Vigo (Spain). 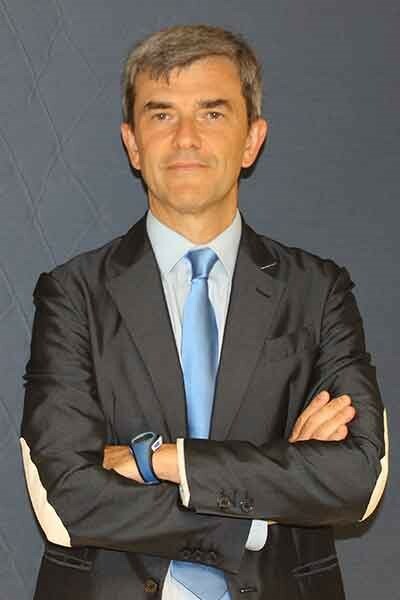 He currently reviews scientific articles for over three dozen peer-reviewed journals, serves as Editor-in-Chief of Journal of Berry Research and Mediterranean Journal of Nutrition and Metabolism (IOS Press), International Journal of Molecular Sciences and Diseases (MDPI) and in the editorial board of Plant Food for Human Nutrition (Springer), Nutrition and Aging (IOS Press), Food Chemistry and Food Chemical Toxicology (Elsevier). 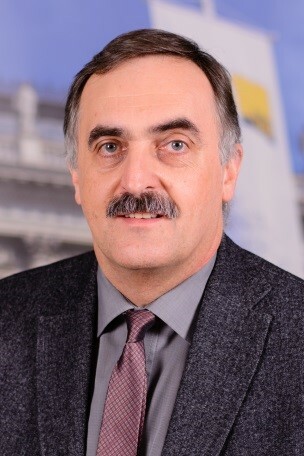 Franz Bucar is Deputy Head of the Department of Pharmacognosy, Institute of Pharmaceutical Sciences, at the University of Graz, Austria and Associate Professor in Pharmacognosy. In addition, he serves as academic advisor of international students of pharmacy at the University of Graz. He obtained his PhD at the University of Graz. After post-doctoral studies at the School of Pharmacy, University of London, U.K. and the Department of Pharmacognosy, Biomedical Centre, Uppsala University, Sweden, he received his habilitation for pharmacognosy at the University of Graz. Major research activities focus on drug discovery from traditional medicinal plants using bioassay-guided research strategies. Current topics of investigations include isolation, structure elucidation and analysis of plant constituents from traditional medicinal plants with antibacterial activity as well as plant natural products as modulators of bacterial resistance. Related to that, the interplay between plant compounds and the intestinal microbiota is subject of his research. Currently he is author and co-author of ca. 130 publications in peer-reviewed journals and three book chapters. He is member of the Committee of the Phytochemical Society of Europe, PSE (Regional Representative 2006 – 2010; General Secretary 2012 - 2017, since 2018 Vice-president). He is also Member of the Executive Board of the Austrian Pharmaceutical Society and Overseas Fellow of the Royal Society of Medicine (UK). 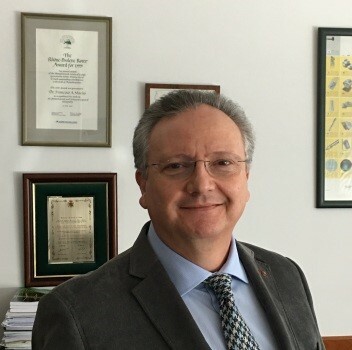 Prof. Bucar is subject editor of Phytochemistry Letters and in the editorial advisory boards of Phytochemical Analysis and Phytotherapy Research. 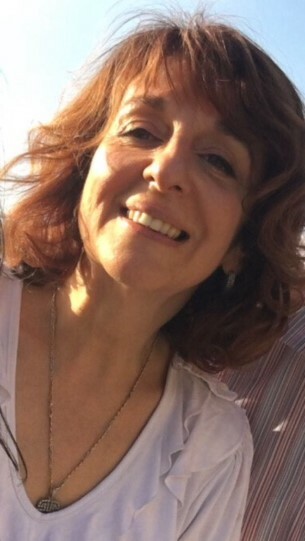 Dr Ioanna Chinou is pharmacist, graduated the Faculty of Pharmacy, University of Athens, and was awarded her PhD in Athens (1988). She was a postdoc student at Nantes University, France (Lab of Organic Chemistry and Pharmacognosy 1988-1989) and Prof at National and Kapodistrian University of Athens, Faculty of Pharmacy, Dept of Pharmacognosy and Chemistry of Natural Products. Since September 2005, is the Deputy National Representative of Greece, Vice-chair in European Medicine Agencies (EMA) at the Herbal Medicinal Products Committee (HMPC) (2007-2012), as well as the Chair of the Monographs and List Working Party (MLWP) of HMPC 2006-today). Her research interests include phytochemical studies of biologically active natural products (isolation, structure elucidations by modern spectral means) with a special interest in the chemistry and evaluation of biological activities of bee-hive products (honey, propolis, Royal jelly, pollen). She is an author of 165 research articles in international scientific journals and of 225 presentations in International Congresses She has given 135 Lectures after invitation and tis he author of 28 reviews-chapters in books. She is visiting Prof of the Med School of Lublin, Dept. of Pharmacognosy, Lublin Poland and reviewer for >60 international scientific journals. Her publications have been cited more than 5500 times and has an h-index of 49. Dr. Marc Diederich earned his PhD in molecular pharmacology in 1994 from the University Henri Poincaré Nancy 1, France. After training at the University of Cincinnati, USA, he focused his research on cancer and leukemia cell signaling pathways and gene expression mechanisms triggered by natural compounds with epigenetic-, anti-inflammatory- and cell death-inducing potential. He directs the Laboratory for molecular and cellular biology of cancer (LBMCC) at Kirchberg Hospital in Luxemburg. He was appointed associate Professor of Biochemistry at the College of Pharmacy of Seoul National University in 2012. In 2017, he was tenured and promoted to full professor at SNU. Since 1998, he is the organizer of the “Signal Transduction” meetings in Luxembourg. Marc Diederich’s research focuses on the development of novel anti-cancer drugs. As an example, natural marine compounds represent an interesting source of novel leads with potent chemotherapeutic or chemopreventive activities. In the last decades, structure-activity-relationship studies have led to the development of naturally-derived or semi-synthetic analogues with improved bioactivity, a simplified synthetic target or less toxicity. He and his collaborators investigated for example chalcones that are aromatic ketones, known to exhibit anti-microbial, anti-inflammatory and anti-cancer activities. Organic sulfur compounds (OSCs), cardiac glycosides and epigenetically active molecules derived from plants, fungi or bacteria can also serve as chemopreventive and/or chemotherapeutic agents and attracted Pr Diederich’s interest as a promising source for novel anti-cancer agents. Albena Dinkova-Kostova is a Professor of Chemical Biology at the Jacqui Wood Cancer Centre, Division of Cellular Medicine, University of Dundee School of Medicine. She obtained her PhD degree in Biochemistry and Biophysics from Washington State University, and subsequently worked at the Department of Pharmacology and Molecular Sciences of Johns Hopkins School of Medicine. She joined the University of Dundee in 2007 as a Research Councils UK Academic Fellow. Her group collaborates with basic scientists and clinicians and with the pharmaceutical industry. In her research, at the interface of Chemistry and Biology, she is committed to understanding how cells respond to oxidative stress and inflammation, and is working towards development of strategies for protection against chronic degenerative diseases. 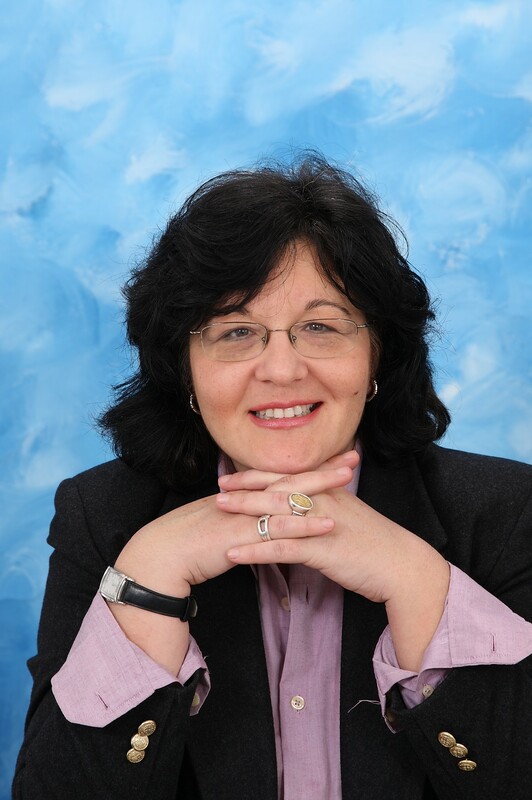 Albena’s research has been published in more than 130 manuscripts and has attracted more than 11000 citations (current H-index of 53). Some of her publications have ranked as the Top 1% Cited papers, and have been highlighted in Editorials and Spotlight sections. Albena is the recipient of the 2011 Arthur C. Neish Young Investigator Award of the Phytochemical Society of North America (PSNA). Professor Dr. Prof. h. c. mult. 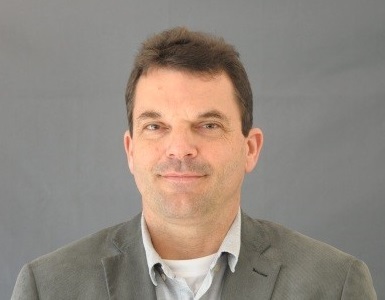 Thomas Efferth is chair of the Department of Pharmaceutical Biology, Institute of Pharmacy and Biochemistry, Johannes Gutenberg University, Mainz, Germany. He is biologist by training (Technical University of Darmstadt, Germany). His doctoral thesis was completed at the German Cancer Research Center (DKFZ), Heidelberg, Germany (1990). Dr. Efferth was awarded the Ludolf-Krehl-Prize of the Southwest German Association for Medicine (1991), the Willmar-Schwabe-Award of the German Society for Medicinal Plant Research (2006), the citizen medal of the City of Heidelberg, Germany (2008), the CESAR Award for Translational Oncology (2011), the SCENTEDdrop Award on medicinal and flagrant herbs (2015), and the Qihuang International Award of the Chinese Association of Chinese Medicine (2017). Since 2018, he is full member of the World Academy of Sciences. Thomas Efferth has published 530 PubMed-listed papers and in peer-reviewed journals in the field of cancer research, pharmacology, and natural products (Hirsch-factor: 73; citation rate: >20,000; acc. Google Scholar) and a textbook on ‘Molecular Pharmacology and Toxicology’ (Springer Publisher; 2006). He holds 7 patents. The scientific results were communicated in over 250 oral presentation and invited lectures and over 180 poster presentations at national and international conferences and meetings. He is editor-in-chief of Phytomedicine as well as co-editor, associate editor and editorial board member of several scientific journals and scientific advisory board member of the German Pharmaceutical Society and several other institutions. Seven of his former lab members promoted to associate or assistant professors. Francisco A. Macías was born in La Línea de la Concepción, Cádiz, Spain (1956). He is Professor of Organic Chemistry at the University of Cadiz, (Spain) since 2000 and Head of the Institute of Biomolecules (INBIO) since 2014. He has been honoured with the 1999 Rhône-Poulenc Rorer Award, Amsterdam, The Netherland, from the Phytochemical Society of Europe (PSE), 2011 Molish Award, Guangzhou, China, from the International Allelopathy Society (IAS) and Gold medal, in Recognition of a Research of excellence, dedication and humanity, The European 2001 Forum, February 2015. Their general philosophy is to learn from Nature. His research interest is related with different aspects of Allelopathy including higher plants and microorganisms, involves studies on natural and modified ecosystems, and developing of new methodologies for allelopathic studies including mode of action. He heads the “Cadiz Allelopathy Group” which is pioneer in Europe in Allelopathic Studies from the Organic Chemistry viewpoint with a multidisciplinary structure. During this period, his group has isolated, identified, characterized, synthesized, and tested the bioactivity of more than 2600 potential allelochemicals and derivatives belonging to a wide range of chemical families as aglycons and/or glycosides (simple phenolics; coumarins; flavonoids; lignans; terpenoids: mono-, sesqui-, di-, spirodi-, mero- and triterpenoids; steroids; benzoxazinoids; within others) that allows the corresponding SAR studies. He is author of 11 international patents. His publications exceed 285, with book chapters; he has co-edited 2 books on Recent Advances in Allelopathy and has supervised 30 Doctoral Theses and delivered more than 350 lectures around the world. Prof. Dr. Rolf Müller studied Pharmacy at the University of Bonn from 1986-1990, received his approbation as a pharmacist in 1991 and finished his PhD on a pharmaceutical-microbiological topic in 1994. From 1996-1997 he spent two years as a DFG research scholar at the University of Washington in Seattle, USA and returned to Germany in 1998 as a junior group leader at the former German Research Centre for Biotechnology (GBF). In 2000, he completed his habilitation thesis at the Technical University Braunschweig about the biosynthesis of antibiotics in actinomycetes and myxobacteria. 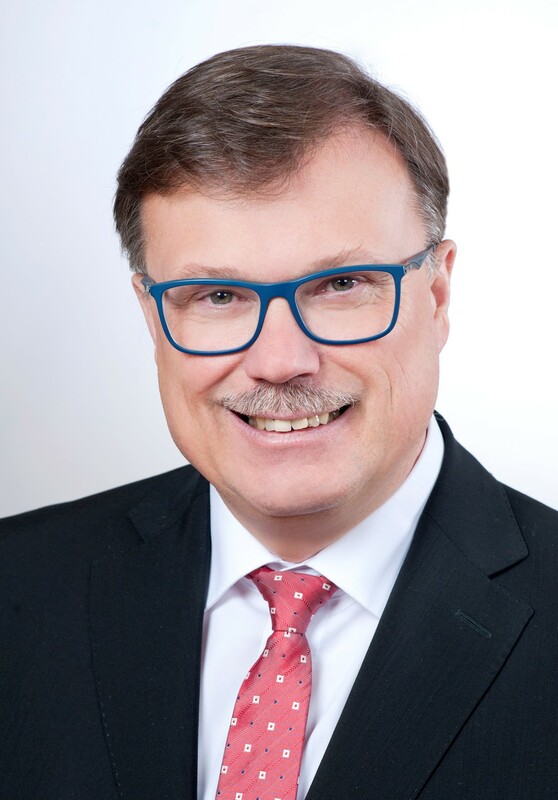 Since October 2003, Rolf Müller holds a chair as professor of pharmaceutical biotechnology at Saarland University and in 2009 he became managing director of the newly founded Helmholtz-Institute for Pharmaceutical Research Saarland (HIPS). Furthermore, he heads the department of “Microbial Natural Products” (MINS) and co-founded the PharmBioTec GmbH in Saarbrücken. Rolf Müller’s research is dedicated to the chemistry and biology of microbial natural products with an emphasis on myxobacteria. Using an interdisciplinary research setting his group focusses on the identification, modification and pharmaceutical development of new anti-infectives exhibiting innovative mode of action. Rolf Müller received the Phoenix-Pharmacy Research Award (2001, 2007, and 2016), the DECHEMA Award for Natural Products Research (2002), the BioFuture Award of the Federal Ministry for Education and Research (2003) and the DECHEMA Award of the Max-Buchner Research Foundation (2010). He was elected member of the National Academy of Science and Engineering (acatech) in 2012 and member of the National Academy of Sciences (Leopoldina) in 2016. In May 2018, Rolf Müller received the Inhoffen Medal which is awarded by the Helmholtz Centre for Infection Research (HZI) and the Technical University (TU) Braunschweig. Natural tramadol - fact or fiction? Dr. Richard J ROBINS is a biochemist who completed a DPhil in Natural Sciences at the University of Oxford, UK, in 1978. 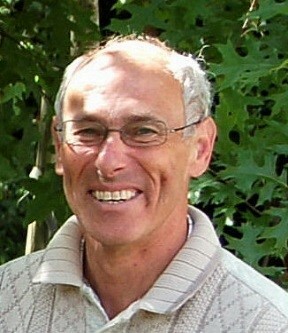 After post-doctoral research at the University of East Anglia (Norwich, UK) studying the mechanisms of amino acid absorption, he joined in 1981 a new team at the Institute of Food Research (Norwich, UK), studying the biochemistry of the synthesis of specialised phytochemicals in plant cell cultures. In 1995 he was recruited by the CNRS to Head up a Research Unit jointly-funded by the CNRS and the University of Nantes (Nantes, France), which specialises in the measurement of intramolecular isotope distributions at natural abundance. Dr Robins is a founder member of the French Isotope Society, of which he is now an honorary member. In 2010 he was awarded the silver medal of the Phytochemical Society of Europe in recognition of his contributions to both phytochemistry and the Society, of which he is a past Chairman and is an honorary member. In 2013 he was appointed as an Editor of the journal Phytochemistry and as Editor-in-Chief from January 2017. He currently holds the position of Emeritus Research Director (1st class) with the CNRS. He has published over 250 papers covering a wide range of research into plant biochemistry and phytochemistry. Encapsulation for innovative and functional products in food and agriculture – where next? Prof. Zora Dajic Stevanovic is Head of Department of Botany at Faculty of Agriculture, University of Belgrade, Serbia. She is the team leader for research in ethnobotany, biodiversity, characterization and conservation of medicinal and aromatic plants, and its role in functional food. 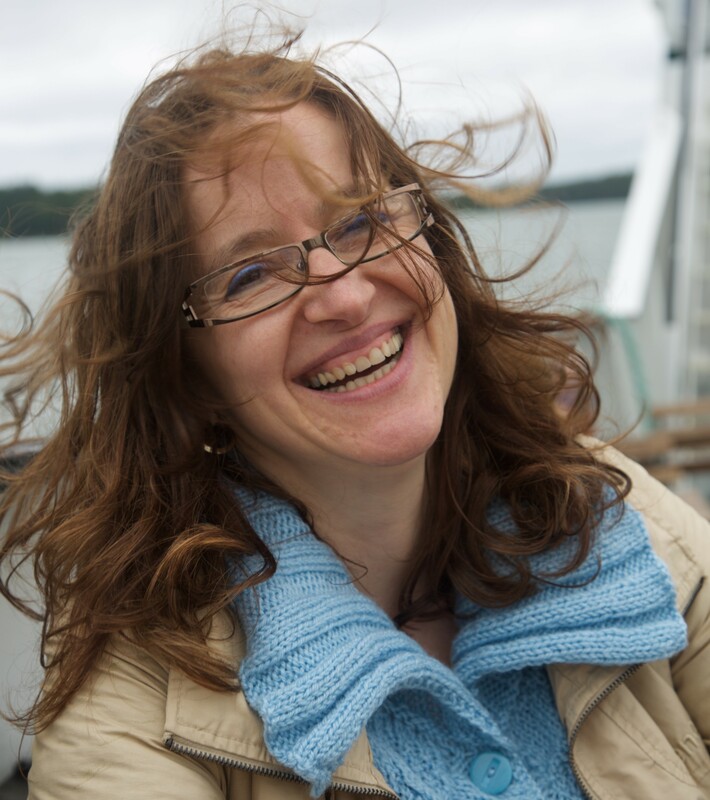 Prof. Dajic Stevanovic received her Bachelor’s and Doctoral degrees in Plant Sciences from Faculty of Biology, University of Belgrade, and postdoctoral training at the University of Sussex, Brighton and John Innes Centre, Norwich, UK. Since 2008 she is the president of Association for Medicinal and Aromatic Plants of Southeast European Countries (AMAPSEEC, see www.amapseec.com). She is member of the EU Dry Grasslands expert group and EU consortium for vegetation. She was national coordinator of plant genetic resources and is national representative in Medicinal and Aromatic Plants (MAP) WG in ECPGR. Zora Dajic Stevanovic is member of national council of NATURA 2000, member of the Council of Ministry of Environment Protection and Spatial Planning and member of the MAB UNESCO national committee. She is expert of IUCN MAP specialist group and of FAO MAP expert group, as coordinator for Southeast Europe (MAP specialist group of ESCORENA – EU System of Cooperative Research Scientific Network in Agriculture (www.escorena.net). Currently is engaged at two national and four international projects (bilateral, DAAD, Erasmus +). Prof. Dajic Stevanovic has published more than 260 scientific references, out of more than 60 papers in international journals with the impact factor, 5 national monographs, 15 national monograph chapters, and 9 chapters in international monographs. She is member of the editorial board of five international and three national scientific journals. Professor Young-Joon Surh currently serves as Director of Tumor Microenvironment Global Core Research Center, Seoul National University. He graduated from College of Pharmacy, Seoul National University with Bachelor’s and Master’s degrees. Prof. Surh earned a PhD degree at the University of Wisconsin-Madison and had postdoctoral training at the Massachusetts Institute of Technology (MIT). In 1992, he was appointed as a tenure-track Assistant Professor at Yale University School of Medicine. 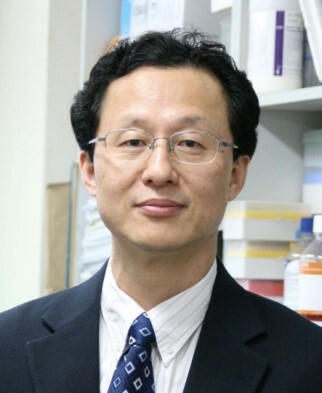 Since relocating to Seoul National University in 1996, Prof. Surh has been investigating the molecular mechanisms of cancer chemoprevention with anti-inflammatory and antioxidative natural products, with focus on intracellular signaling molecules as prime targets. He is currently Associate Editor of Molecular Carcinogenesis, Toxicology & Applied Pharmacology, Free Radical Research, Frontiers in Nutrition, and Frontiers in Oncology, and Editorial Board member of Molecular & Cellular Biology, International Journal of Cancer, Cancer Letters, Cancer Prevention Research, Antioxidants & Redox Signaling, Genes and Nutrition, Molecular Nutrition & Food Research, Current Cancer Therapy Review, Journal of Toxicological Sciences and more recently Precision Oncology published by Nature Publishing Group. He is also editor of the following books: Oxidative Stress, Inflammation and Health (CRC Press), Molecular Targets &Therapeutic Use of Curcumin (Springer-Veralag), and Dietary Modulation of Cell Signaling Pathways (CRC Press). Prof. Surh has published more than 300 papers in peer-reviewed international journals and about 70 invited editorials, reviews and book chapters. The total number of citations of his publications is more than 18,000 (excluding self-citations). The H-Index reported by Thomson Reuter of Web Knowledge is 70. Thomson Reuter selected him as one of the 16 Korean scientists whose publication is most highly cited. Prof. Surh received numerous awards including Elizabeth C. Miller and James A. Miller Distinguished Scholar Award from Rutgers University (2011), McCormic Science Institute Award from American Society for Nutrition (2009), Scientist of the Year Award from the Korea Science Reporters Association (2008), the Distinguished Scientist Award given by President of South Korea (2013), etc. He currently serves as President of Asia Pacific Nutrigenomics and Nutrigenetics Organization (APNNO) and International Association for Environmental Mutagens and Gennomics Societies. Prof. Surh has recently been elected as President of Korean Society of Molecular and Cellular Biology (KSMCB), the largest academic society in the field of biomedical sciences in Korea. Sugar + sugar = liquid? He holds a Pharmacists degree (1972) and a PhD (1976) from Leiden. 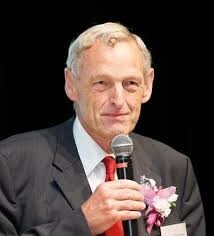 He was lecturer at Leiden University 1976-1987, and since 1987 professor and head of the department of Pharmacognosy. Since 2011 he is an Emeritus professor, still connected to Leiden University. He was guest professor in London (UK), Uppsala (Sweden), Amiens (France), Reims (France), Seoul (Korea) and Hilo (USA). From 1992-1998 he was Vice-Chairman and Chairman of the committee of the Phytochemical Society of Eu­rope (PSE). Prof. Verpoorte is author/co-author of 780+ scientific papers, 4 books and 6 patent applications. September 2018 H factor 66 (Web of Science), 93 (Google Scholar) 74 (Scopus). Editor (1996-2002) and Editor-in-chief (2003-2016) of Journal of Ethnopharmacology (IF 3.115), Editor-in-chief of Phytochemistry Reviews (IF 3.393) since 2001 and Executive Editor of Biotechnology Letters (IF 1.846) since 2006. He supervised 66 PhD-theses, and 150+ MSc theses. Rob was awarded an Honorary Doctorate from University of Amiens, France (2004) and University of Uppsala, Sweden (2012). In 2007 he received the PSE Medal. He is an honorary professor at the Hong Kong Baptist University since 2015. In 2015 he was awarded the Gusi Peace Prize in Manila (The Philippines). Last September (2017) he was awarded the Egon Stahl Medal in Gold by the International Society of Medicinal Plants and Natural Products Research (GA) for his lifetime scientific contribution. Dr. Xiao earned his PhD in nutritional science from Okayama Prefectural University, Japan (2009). He worked as Humboldtian at University of Wuerzbug, Germany (2013-2015), prior to join University of Macau in 2015. Dr. Xiao has published over 100 papers in peer reviewed journals. These publications have more than 5000 citations, an h-index of 42 (Google). Dr. Xiao has been selected as 2016 and 2017 Clarivate Analytics Highly Cited Researcher (HCR) in agricultural science, as well as Publons Peer Review Award 2018 (Top reviewer). 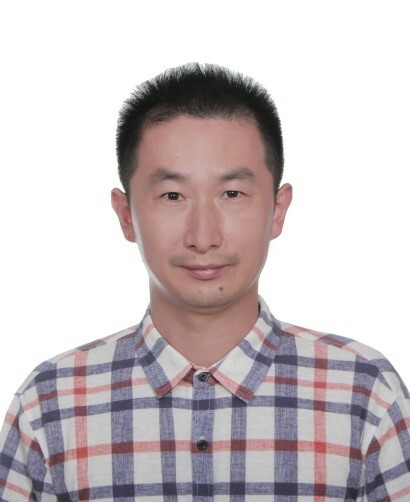 Prof. Xiao is currently the Editor-in-Chief of a newly launched e-Food journal, an associate editor of Phytochemical Analysis (Wiley) and Journal of Berry Research (IOS), and in the editorial boards of several international journals, including Critical Reviews in Food Science and Nutrition, Food Chemistry, Food and Chemical Toxicology, Phytomedicine, Industrial Crops and Products, International Journal of Molecular Sciences, Molecules, Environmental Toxicology and Pharmacology, Current Drug Metabolism, Anti-Cancer Agents in Medical Chemistry,, and so on. He was a chairman of the 2015 International Symposium on Phytochemicals in Medicine and Food (1-ISPMF, 2015) organized by PSE, its second edition (2-ISPMF, 2017), as well as the third one (3-ISPMF, 2018). His research mainly focuses on the nutrition and metabolism of dietary polyphenols.